Sugar white sands and a palm-fringed beach are the first to welcome you to the private paradise of the aptly named Summer Island; a destination so pristine that it’s adopted the label of a ‘barefoot’ resort. Outdoor sports like badminton and volleyball allow you to take full advantage of the beautiful Maldivian climate, and treatments at the resort spa await to help you wind down after your big win. With facilities varying from exciting and active, to leisurely and relaxing, this enclave combines the simple things in life with the finer things. Activities and excursions for families to get involved with are found all throughout Summer Island, offering quality time together amongst means for personal relaxation. Several individual room categories promise perfectly tailored accommodation, whether you’re hoping to submerge yourself in the vibrant, blooming flora, or you’d prefer to stay atop the ocean in a classic Maldivian Water Villa. Within the suites, modern furnishings complement light décor designed to showcase the natural lighting that floods through the large doors leading out to daybeds on your private deck or terrace. Here awaits further opportunities to take in your favoured surroundings with a refreshment from your minibar. Organic home-grown ingredients are taken straight from the resort’s vegetable garden and into the kitchen, where they’re transformed into delicious and natural dishes for high quality dining in sophisticated and sociable environments. Submerge yourself into the Maldives’ natural beauty as you taste organic ingredients, sip on tropical cocktails and gaze out to the infinite blue-sea horizon from beach-side alfresco dining and over-water decks. 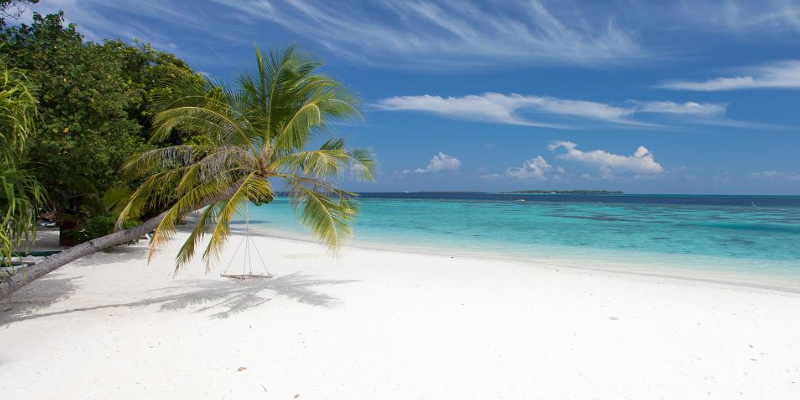 Dazzling white sand and an endless blue sea offers a relaxing atmosphere. Take in the organic wonders of the island as you play volleyball on the beach beneath the gorgeous Maldivian climate, or just lounge back on a sunbed an take it all in. More family-friendly entertainment can be found within the resort, such as badminton, table tennis and billiards. All of the necessary elements needed to relax await at the resort spa; the sound of the waves, uninterrupted views of the lagoon, and incredible treatments from head to toe. Look down over the water below through glass panels as you receive massages, amongst an array of other treatments, and choose from a single room or a room for two. Upon stepping into the The Firuma by Serena Spa, you’ll forget about the world beyond the ocean. Get your own slice of paradise, Holidaymaker. 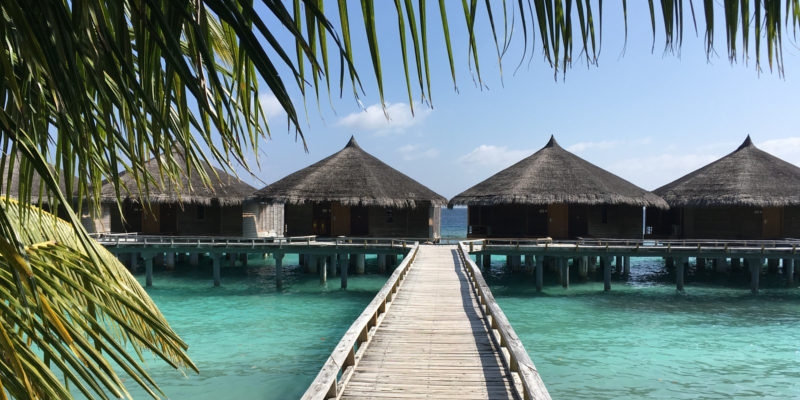 Are you already smitten with the Maldives? Let us know in the comments below, or have a press of that lovely orange button to find out more.